I'm thrilled to feature work from my fabulously talented friends Rachael from LACE & LIKES and Magnolia Rouge favourite MICHAEL RADFORD. This moon lovers shoot they created was a collaboration between all involved. 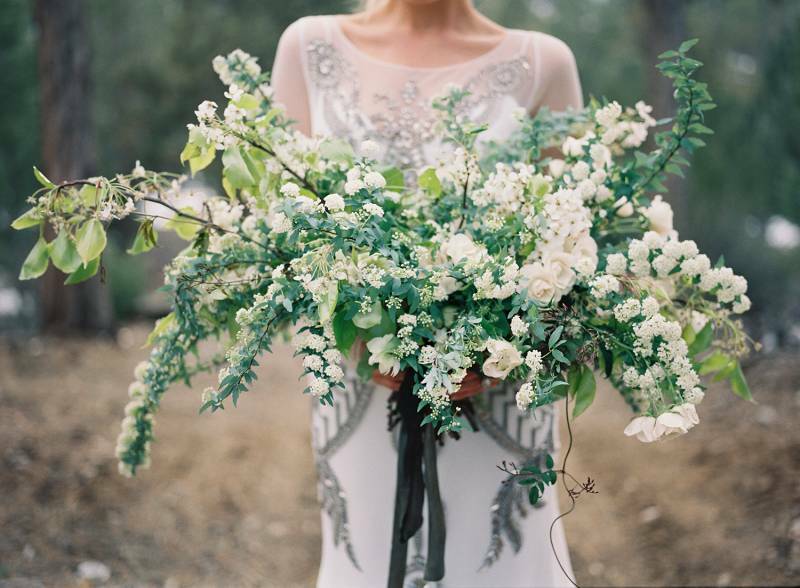 The stunning florals were created by Rachael's other company SIREN FLORAL CO. She is one talented gal that one! 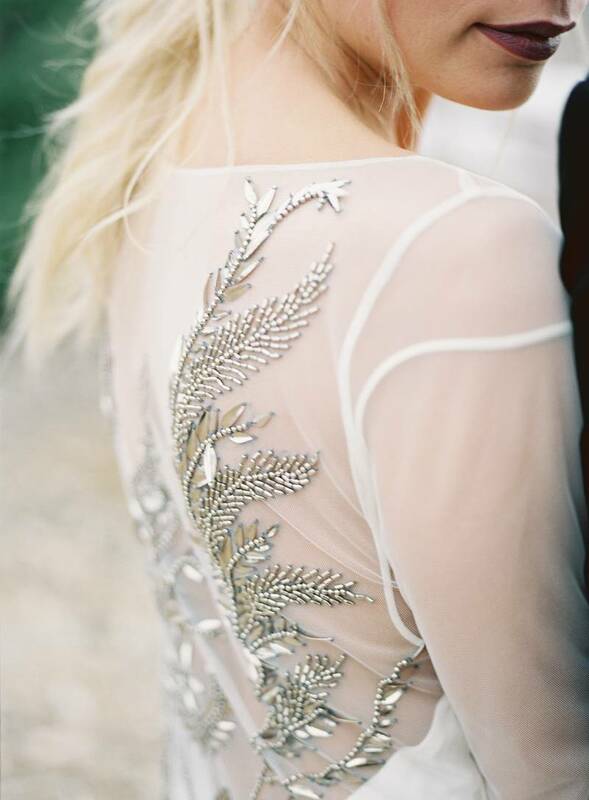 "My main inspiration was winter & romance and the idea of a beautiful couple all dolled up in the woods and snow. and of course, the moon. My sweet friend, MARISSA QUINN is an incredible artist, and I knew I wanted her to be a part of it. The inspiration really started with her artwork. 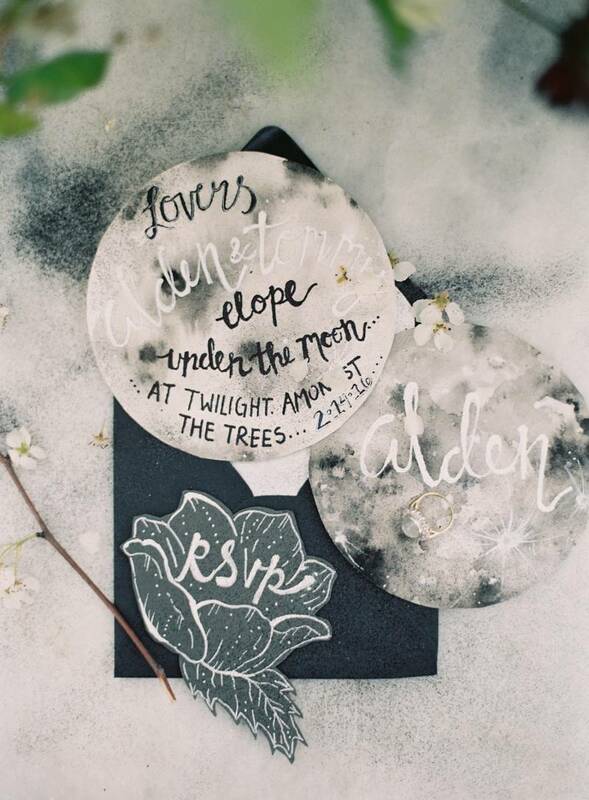 She created the moon-inspired paper goods and the stunning, hand-drawn backdrop for us. Almost all the flowers were foraged and wild, and paired so well with the tabletop pretty from HOSTESS HAVEN and the unreal round, marble table from FOUND RENTALS. With Big Bear as the setting, our two gorgeous models, Erica from 10.11 MAKEUP on our side and California Wedding Photographer MICHAEL RADFORD behind the lens, this really was a dream shoot for me. I'm so excited to be able to share it!"